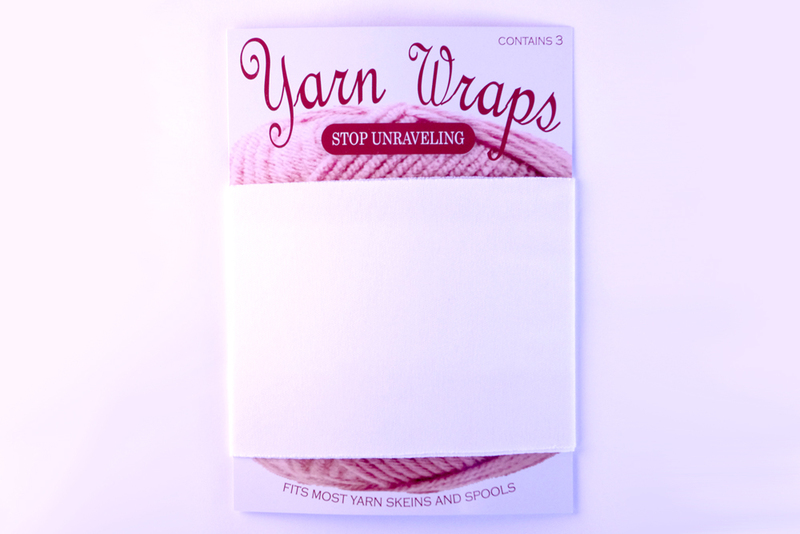 Introducing Yarn Wraps: the easy way to keep your yarn from unraveling. 1. 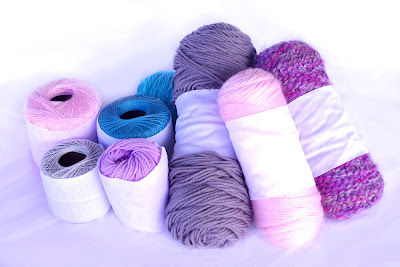 Wrap a Yarn Wrap around crochet thread, yarn skein, spool, hank, or ball. 2. You're yarn won't unravel. It will stay neat and tidy while you sift through your stash. 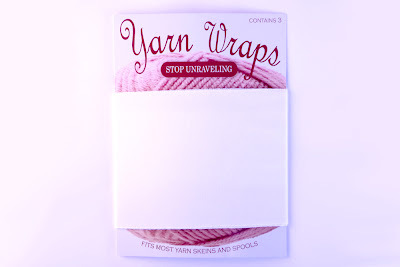 Yarn wraps are sold in packs of 3. Go here to order them: http://sharpcrochethook.com/buy-crochet-items.html. Yarn shown in picture wrapped with a Yarn Wrap. Red Heart, Simply Soft, Sugar n' Cream, Aunt Lydia's metallic 10, Aunt Lydia's classic 10, Bernat Handicrafter crochet thread. Yarn Wraps were designed by the inventor of the Sharp Crochet Hook. Go here to order a pack: http://sharpcrochethook.com/buy-crochet-items.html.